From the umber fields of a freshly plowed Connecticut farm to the rugged snow-capped New Hampshire peaks and from the breathtaking display of autumn foliage on a Vermont hillside to the ocean-polished cliffs of the Maine shoreline, New England’s beauty is readily apparent. I’ve lived all my life in New England, yet still I see its beauty anew each time I watch waves crash, hear crisp amber leaves crunch underfoot or feel the wind bite my face after a new snowfall. Just as the word home carries a connotation far deeper than a structure with four walls and a roof, my canvases evoke so much more than the surface beauty of the landscape. The images may be of peaceful mornings, sparkling sunsets and impending storms, but my paintings also are a time, a history, an emotion and a bond to a region always beautiful, but at the same time unforgiving. 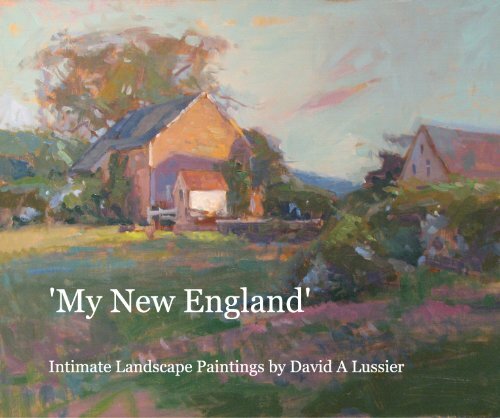 I am both inspired by and connected to New England in a way that is unique. That is why a painting of a stunningly backlit and bucolic farmhouse on a country lane also evokes centuries of struggle to coax crops from the rocky soil. That is why a canvas depicting lobster boats tied at a wharf on a placidly shimmering ocean also conjures the toils of generations who risk their lives at sea. I am a part of the landscapes that develop via layers, stroke by stroke, on my canvasses. I am more than an observer of New England. I am one with all its seasons, moods and its very essence.